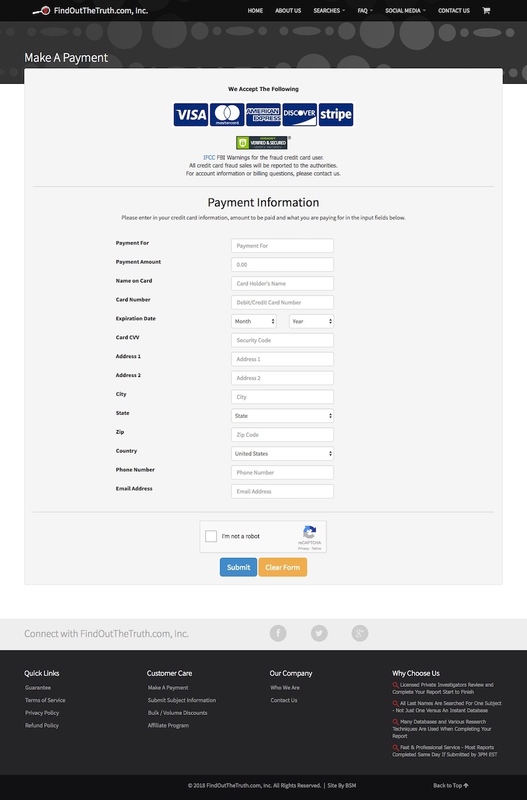 Advanced website linked to ecommerce shopping cart to order full background checks. 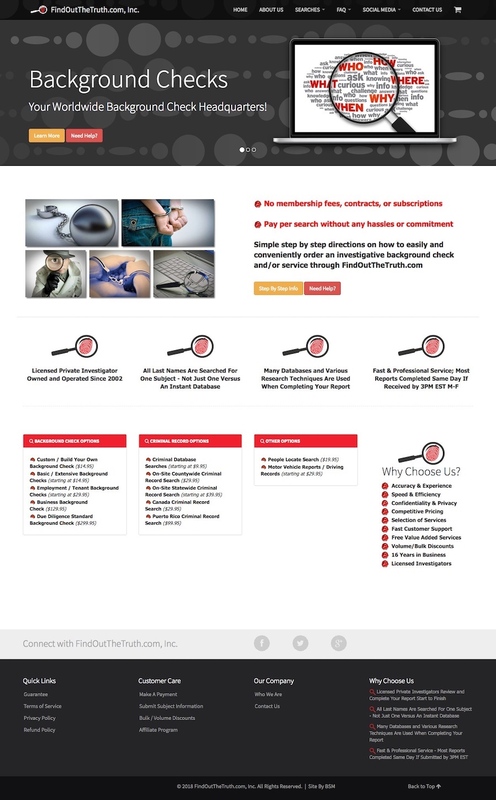 All searches are conducted by licensed private investigators across a number of databases (not just one database) utilizing years of industry experience and expertise. 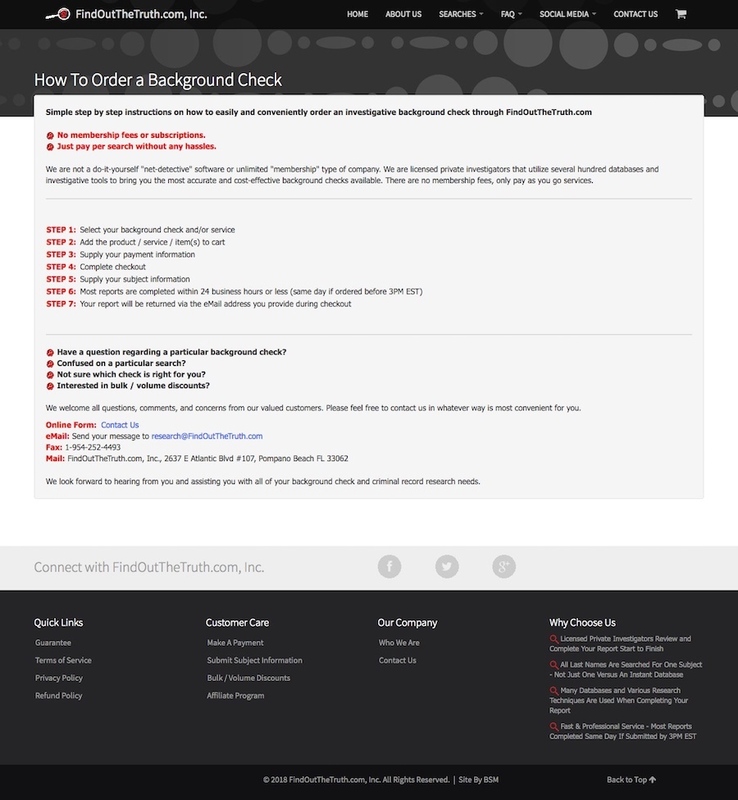 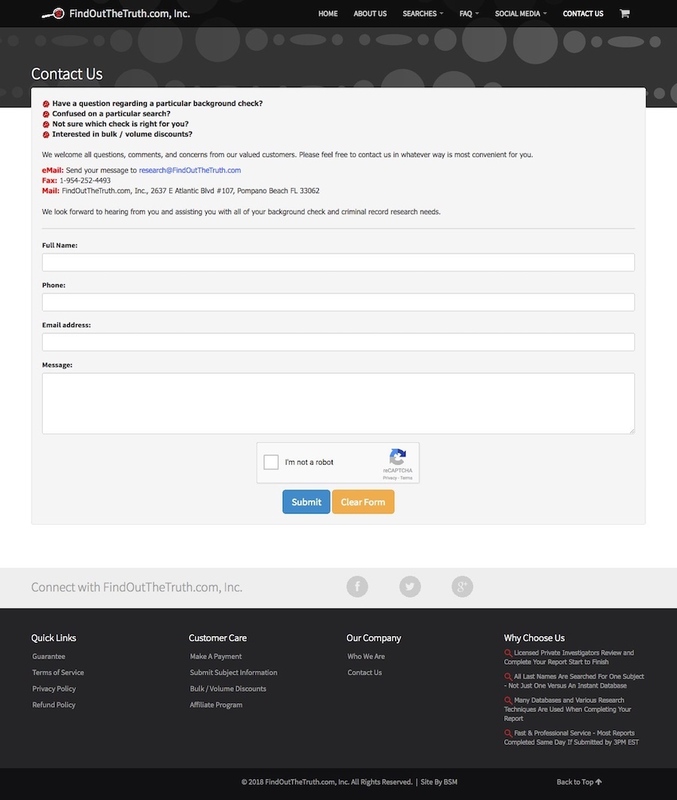 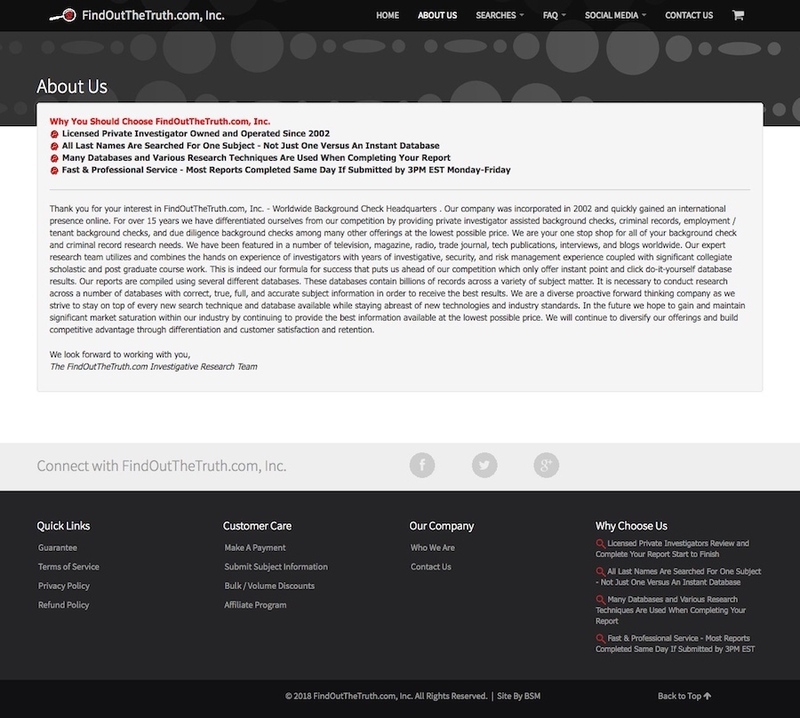 This site re-design makes it even easier for you to order all types of background checks.